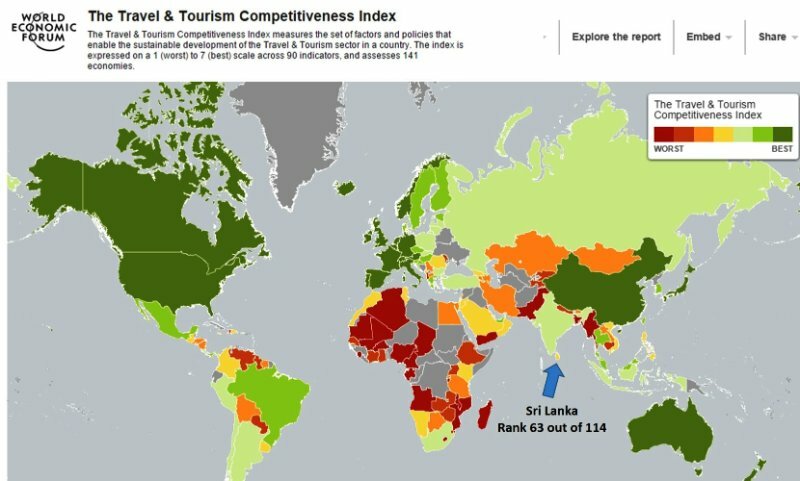 The World Economic Forum has for the past decade carried out some in-depth analysis of the Travel and Tourism Competitiveness (TTC) of economies around the world, and published a comprehensive useful report every two years. This report provides very useful information, which should be used by the travel and tourism industry in a strategic manner to ensure proper development. This year’s report gives some interesting information, which I have collated and presented here. The analysis covers 141 countries around the world, and uses extensive research and data gathered from a wide range of reliable sources. The overall index is computed from various sub categories, such as Business Environment, Safety and Security, Health and Hygiene, Human Resources and Labour Market, ICT Readiness, Price Competitiveness, Environment Sustainability, Natural Resources etc.